Instructor Lindsey of National Shooters based out of Arlington, Virginia trains for conceal carry. Practicing shooting while moving on multiple targets. Firearms classes demand professional supervision. Something we all know but the Washington D.C. Police Chief Cathy Lanier forgets when discussing gun ownership in the capital city, Armed Resistance to criminal encounters saves lives. She could use a lecture from the Detroit Police Chief who recently confessed that “if more citizens were armed, criminals would think twice about attacking them.” Who would have suspected that criminals think about their victims ability to fight back? Anyone who’s taken an armed self defense class knows criminals study their craft to meticulously calculate and plan their attacks. Buy guns and train with the, lets all raise the stakes on criminal activity! National Shooters of Northern Virginia serves the greater Washington D.C. area with our classroom in Arlington, Virginia. 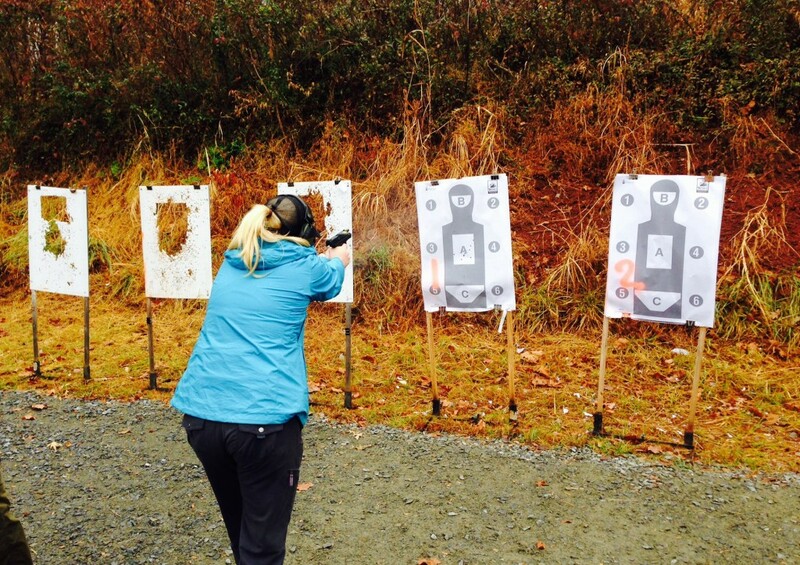 We offer entry level handgun classes and beginner conceal carry classes. Contact us today for more information! Posted in Firearm Training and Education, Northern Virginia Local News	Tagged with: National Rifle Association (NRA) Certified, Northern Virginia Washington D.C. Maryland, Virginia Gun Instruction Classes, Washington D.C.